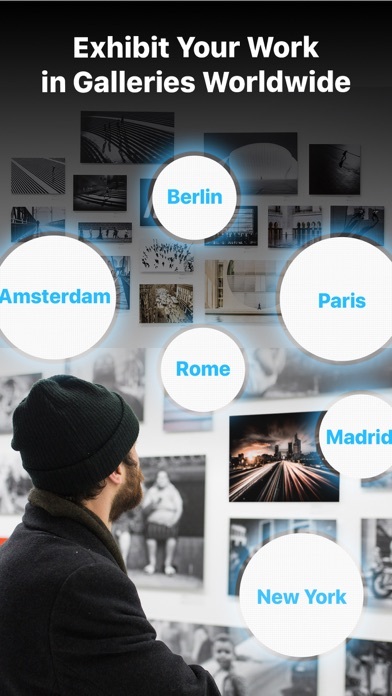 The first-of-its-kind photo game for anyone who loves taking photos. Join daily photo challenges, get instant feedback & see how you rank in Real-time compared to others. Join a community of millions & improve your photography. Install now - It’s Free! 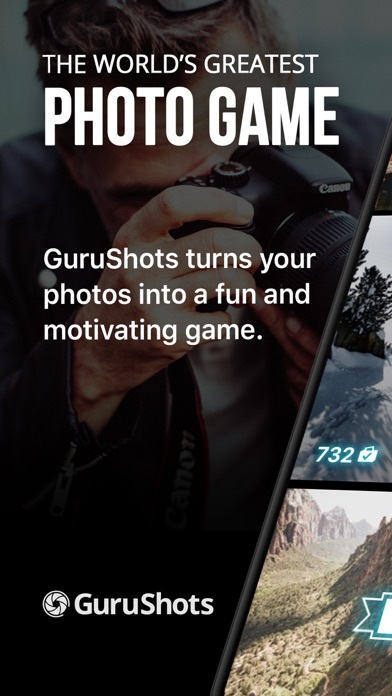 GuruShots reinvents the way people interact with their photos, making it more fun, exciting and rewarding. + It’s fun, social and helps improve photography skills. + Enjoy daily themed photo challenges. 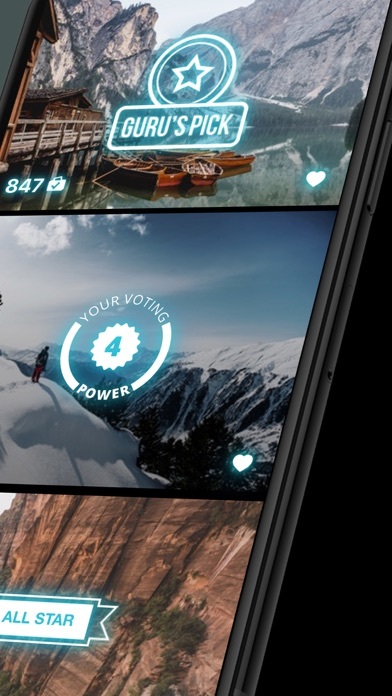 + Get Instant Feedback on your photos from over 5 billion Monthly Votes. + See how you rank compared to others in Real-time. + Win amazing prizes; Over $600K in prizes. + Gain massive exposure: Get featured in magazines, online, and international photo exhibitions! + FREE to join & easy to get started. Ready to show off your awesome photos? Download now and join a community of millions around the world who are already hooked! NEW PHOTO CHALLENGES EVERY DAY Share photos in our themed photo challenges, from “Black and White” to “Beards”. Capture fresh photos out or dust off shots you already have. 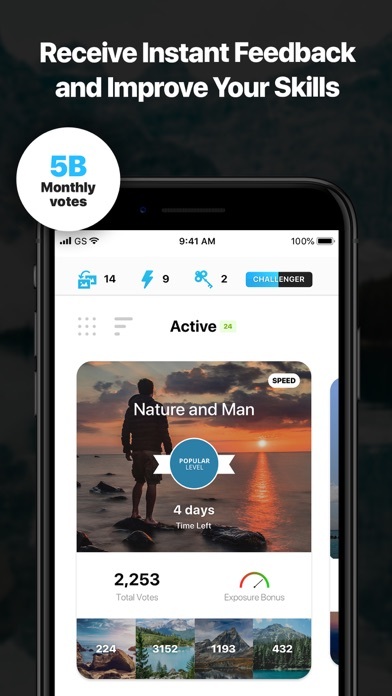 INSTANT FEEDBACK With instant photo feedback from over 5 billion monthly votes, GuruShots members gain feedback, inspiration for their photography and even surprise themselves with their creativity and progress. 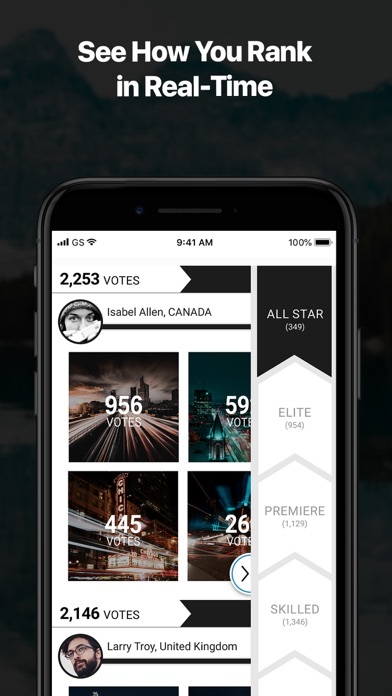 REAL-TIME RANKING The power of the crowd rates photos instantly; our photo app enables members to see which photos rank highest, compare their photos to others, and follow their ranking in Real-time. HAVE AMAZING FUN WITH YOUR PHOTOS Get ready for the most exciting photography app! 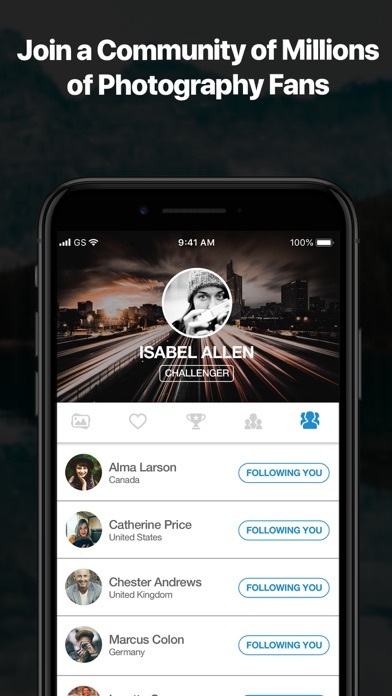 Compete in daily photo challenges and work your way up from Newbie to Guru status by receiving peer votes, points, and achievements. Swap your photos to see which one works best; use Boosts, Fills and Keys to receive maximum exposure. IMPROVE YOUR PHOTOGRAPHY SKILLS Experiment with your photos and find out which of them are WOW. Discover what's popular, get fresh ideas and receive awesome insights. As you level up in the photo game, you will find yourself improving your photography skills. MAKE YOUR PHOTOS MORE MEANINGFUL Gain massive exposure on your photos and earn badges that demonstrate your achievements. Get meaningful recognition and appreciation for your photography by being featured in magazines and online - and even in international photo exhibitions! EXHIBIT YOUR PHOTOS IN GALLERIES WORLDWIDE From New York to Singapore, London to Cape Town, and beyond. About 5,000 GuruShots photographers are recognized each month, with tens of thousands already exhibited. Now, you have the opportunity to get recognized, showcase your work in international photo exhibitions and connect with like-minded photographers. WIN AMAZING PRIZES Top GuruShots members have the chance to snag prizes, from in-game power-ups to photo gear and gift cards. Members cast over 5 billion monthly votes in more than 500 photo challenges, winning $600k+ in prizes. 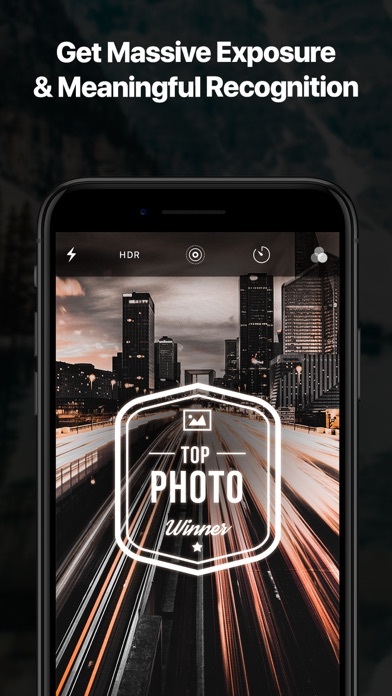 Tap into a fast-growing community of millions of creative people who simply love taking photos! ANYONE CAN JOIN Suitable for anyone who's passionate about photography at any level from Mobile Photography to DSLR Photography. Download the world’s #1 photo game now and play for FREE! I loved it at first because you can advance pretty quickly but once you get to where you need guru picks, (past expert level) forget it. I’ve looked at the guru picks and some photos you just have to shake your head at And you wonder how some got picked. Also- it’s too much voting and you have to vote to get your pictures seen and voted on. If you are in a few contests then that means voting on hundreds of photos several times a day. Honestly, I don’t even look at them that much, I just vote on the firsts ones to move my meter because who has that kind of time and it’s tedious. Of course they want you to pay for auto fills and boosts but i just refuse to do it anymore and it doesn’t help you get seen by gurus. I will quit for a while out of frustration but then I will take a photo that is good, so I will play again and enter those but they never seem to get a guru pick and I can’t move to the next level. So it’s frustrating after a while. 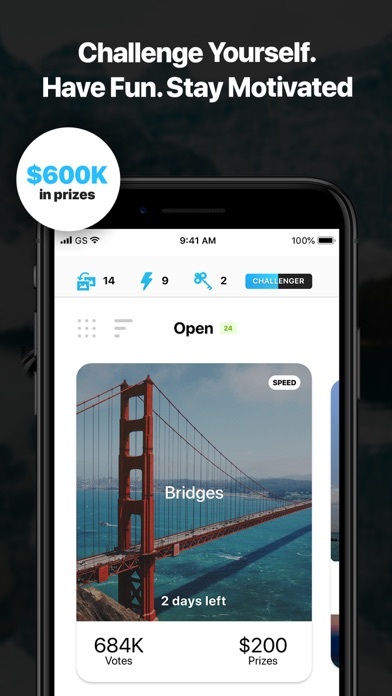 I’ve used this app for several months, never won a challenge but have won fills. Whenever I use the fills for an exposure boost, the number of votes never change nor does the meter boost move. This is just one of several disappointments. Love it but I’m going broke trying to make Guru! It’s a fun and inspiring app, very enjoyable! Navigation can be slightly confusing at first and it would be awesome to have a search function to search for photos since they get tagged with keywords already. It’s very rewarding to remove the popularity contest that is instagram and put it all into a screen where everyone has an even playing field too! Inspires you to get out and take more photos!!! This app really gets you to go out and take pictures! It is gratifying to feel rewarded for your work taking photographs. One problem though, almost every single time I open the app, it says “Request timed out.” This is to no detriment of the app’s experience. More of an annoyance. It’s a great idea but not so good in execution. A photo game where you can upload your photos and submit them to challenges and vote on the best images. But the majority of photos are snapshots at best. I have a hard time finding good photos to vote on and end up just voting for the ones that seems like the person somewhat tried to take a decent photo. In reading through other reviews, it seems that I am not the only one with this issue. I’m not opposed to the way that the game operates with swaps and whatnot, but the content that’s on here is for the most part terrible. I think most of it is fun and it’s very inspirational to see what other artists create. However I find that annoying that sometimes the rewards given at the end of challenges are not given and sometimes they are. It’s like there’s no consistency. I think there should be keys swaps and boosts given at the end, not like whole bundles but one or two as I experienced in the beginning. Other than that this is a pretty cool app and has helped me pull myself out of a creative slump.